In all Whole Foods stores, they will be selling this limited edition Hello, Beauty! 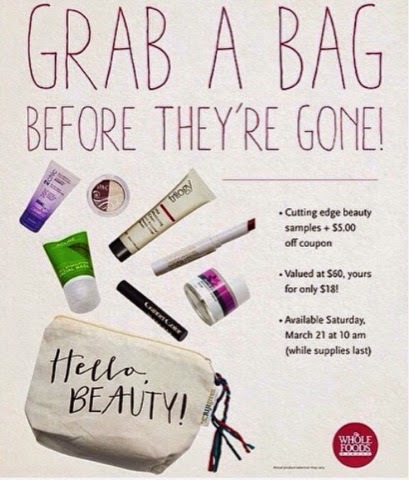 Bag filled with beauty samples, including brands from Pacifica, DermaE, and Acure Organics! They're sold at 10AM sharp this Saturday, March 21! Most stores will also have product demos and other beauty specials this week but will vary depending on the store.